Join the Fifa World Cup Bracket Contest now and take the FIFA World Cup Bracket Challenge by predicting the group stage results and knockout matches for the 2018 FIFA World Cup and Compete this challenge with your friends for your chance to win a trip for two to Madrid to enjoy VIP treatment at an Atletico Madrid game. 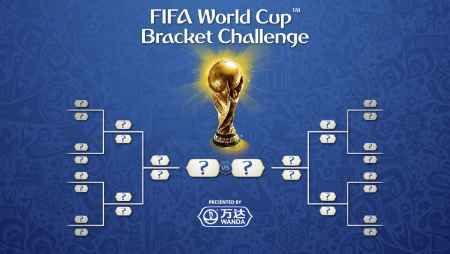 Visit this link:Bracketchallenge.fifa.com to go to the contest page. Create your mini-leagues in the Predictor game and pick four teams from each of the eight groups and compete against your friends. Earn as much points you can for your chance to win exciting prizes. – A VIP experience for two people at the Wanda Metropolitano, which includes watching a La Liga match and a personal meet-and-greet with some of Atletico players! Who Can Enter: This sweepstakes is open only to legal residents of the fifty (50) United States District of Columbia who are twenty one (21) years of age or older at the time they enter the sweepstakes. When To Enter: The Fifa World Cup Bracket Contest ends at 17:00 CET on 14 June 2018 – one day before the World Cup kicks off and If you miss that deadline, however, you can still participate in the ‘My Knockout Bracket’, which opens at 21:00 CET on 28 June – just after the last group-stage matches end – and closes at 15:00 CET on 30 June. Sponsor: Bimbo Bakeries USA, Inc., 255 Business Center Dr., Horsham, PA 19044.